Though rewarding, implementing Evidence-based nursing practice (EBNP) is not easy. It requires a top down approach, and resources. The main barriers to implementing EBNP are the perception that it takes up valuable time, problems with access to information resources, scepticism and reluctance from practitioners who believe they are already practicing best practice despite their training being some time ago. You can counter negative views by demonstrating the positive impact of EBNP using your own patient population or evidence from other services that have already implemented it. Partnering with an academic institution can improve your access to researchers and research methods. 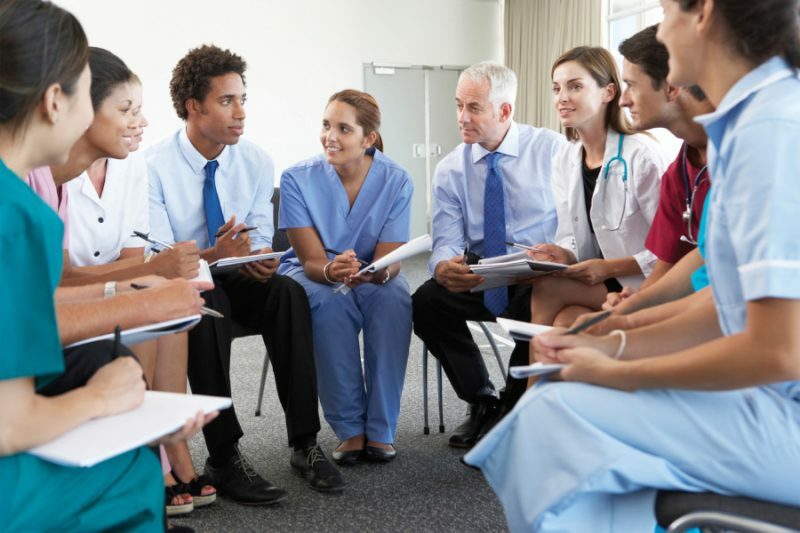 Simple training sessions – face-to-face, webinars or other methods – can provide assurance and skills to nurses who may need to improve their evidence-based and accessing information resources. It’s important that this training is provided at all levels of the chain of command. Mentoring plays a strong role in a solid EBNP implementation and practitioners from other services with successful EBNP implementations may be able to play a role here. Your organisation must encourage curiosity and inquiry, supporting experimentation and innovation and replacing “this is how we’ve always done it” with “evidence shows this is the best way to do it”. Commitment starts at the top, with clinical leaders and managers. Planning for EBNP must include clear goals and measurement criteria, and a strategic plan that shows how EBNP will be integrated into the organisation. Leaders need to commit their budgets and influence to provide resources, tools and skills to support EBNP. Guidelines must be clear and well communicated so that practitioners can successfully request resources as repeated knock backs will kill enthusiasm. This includes encouraging staff to attend conferences and bring back learning to share with the organisation through posters, information sessions and training. Your implementation plans should include this. A multi-level approach to implementing EBNP has been shown to be effective, and it is convenient to use the existing hierarchy of your organisation to support it. The plan must include clear goals, with a shared commitment to achieving them across the hierarchy of the hospital. And, of course, the clearest of all goals must be to integrate evidence into practice which results in a measurable improvement in care of patients, families, communities and the population. Finally, evidence shows that the more people who participate in the change the greater the change will be – so include everyone for everyone to benefit.